Industry and government are on track to bring down the cost of batteries to power hybrid and electric cars, which is crucial for improving commercial appeal of those vehicles, U.S. Energy Secretary Steven Chu said on Wednesday. Chu said at the Detroit Economic Club the Obama administration is not deterred by soft sales of plug-ins in their first full year in showrooms, nor does it worry about the potential for overcapacity in battery production. And, he said, the administration is sticking to its goal of seeing up to 1 million electric and plug-in hybrids on U.S. roads by the middle of this decade. "If you look at what they've done, they've done it wisely," Chu said of measured initial production of the mostly electric Volt by General Motors and the fully electric Leaf, made by Nissan. The two sold almost 20,000 of those vehicles combined in 2011. 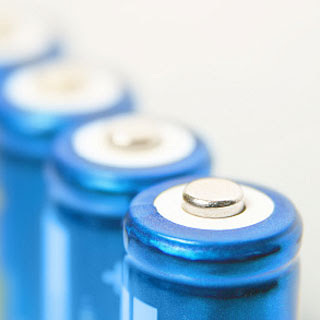 Government and industry officials say bringing down battery costs is critical to meeting those goals, and Chu cited aggressive steps and measurable progress. Chu said batteries suitable for plug-in hybrids four years ago cost about $12,000 to produce. "That's pretty expensive. We think we're on target by 2015 so that the cost of that same capacity battery will be reduced to $3,600" Chu said, representing a 70% cost reduction by 2015. The goal, he added, is to more than halve the cost again by 2030. "Once you get a battery that's $1,500 and much less expensive electric motors, which we are also working on, then you get to a very exciting price point," he said. The Department of Energy said 18 months ago it expected battery costs per kilowatt hour to drop from about $1,000 in 2009 to $300 in 2015 and $100 in 2030.